As an educator, and more specifically, a middle school librarian, my mission is to guide students’ development towards a love of reading and passion to use their knowledge to achieve their dreams as they learn to navigate the world. Among other elements that I juggle, I simply want students to believe in their possibility. I recognize this is a bold and lofty mission as public school libraries face budget cuts, misunderstandings about the role of school libraries, and continually fight for equity. However, we librarians are clever, determined, and strong advocates for our programs and students. 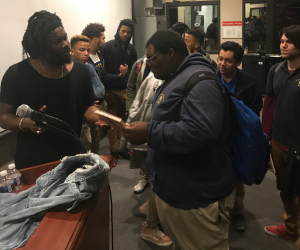 During School Library Month, we were lucky to have Jason Reynolds join our platform as spokesperson. These are just some of the thoughts recorded from middle school students after Jason Reynolds visited Columbia Heights Education Campus in Washington, DC. I also received e-mails and was stopped in the hallway by staff to share the enthusiasm from students. One of the 7th/8th grade ELA teachers mentioned his students were impressed with his storytelling and felt inspired to read more of his work now. In fact, his books were no longer available for check out within days after his visit. 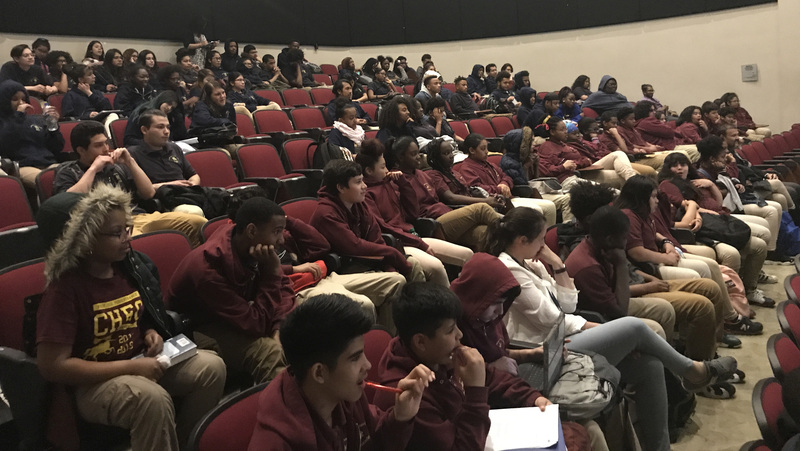 A culture of reading that inspires dialogue, self-awareness, and excitement to visit the library is an ongoing goal for this school year. 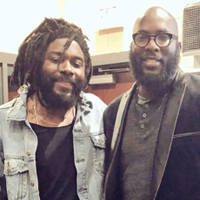 So, on behalf of the middle school side, thank you, Jason Reynolds, for connecting with students and letting them know the benefits of writing, reading, and fearlessness in discovering themselves. —quotes by Bell High School students. Young people have an innate sense of things that are, versus things that aren’t. This truth speaking and telling experience with Jason Reynolds at Columbia Heights Education Campus (Lincoln Middle & Bell High School) located in the District of Columbia offered texture to the science of youth and librarianship. Telling stories, hearing them, experiencing them and retelling them, helps create a synergy that is needed to explore the complexities of life as a young person. Reynolds offered each participant a glimpse into his past while not forsaking his present and, while offering them an opportunity to explore with him, the future, his and theirs. This future is rich with hope, determination, intellectual pursuits, reading and writing, their narrative and the untold narrative of so many others. In challenging stereotypes, one must confront the reality that more voices that reflect the stories of all, are needed. These authentic voices, like Reynolds are tasked with providing youth with a horn and teaching them how to blow it. With African American male librarians making up less than 2 percent of librarians in The U.S., I too am tasked with sounding an alarm that will help provide stories, programming and opportunities for these geniuses to end injustice, stop hatred, speak out against sexism and, use their gifts and talents to enhance communities across the world. 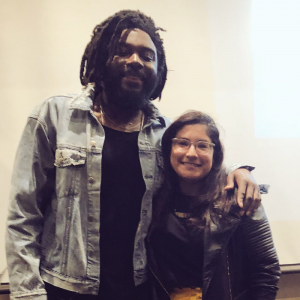 Thank you Jason Reynolds, what a gift you are to this generation and so many to come!